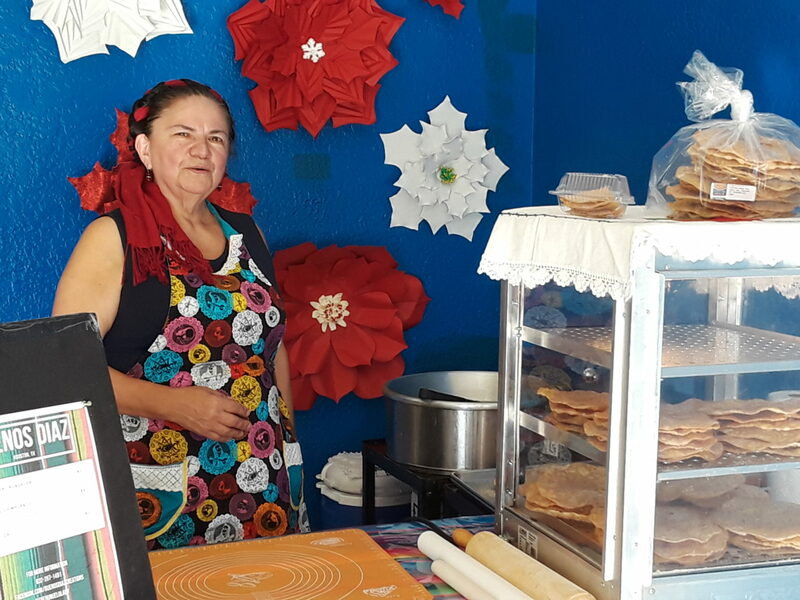 Celia Diaz says she and her family cooked the treat, a fried tortilla sprinkled with cinnamon, to bring good luck for the New Year. Today, Diaz sells buñuelos to Houstonians in Denver Harbor, a neighborhood in Houston’s East End. She also sells her treats at the East End Farmers Market.